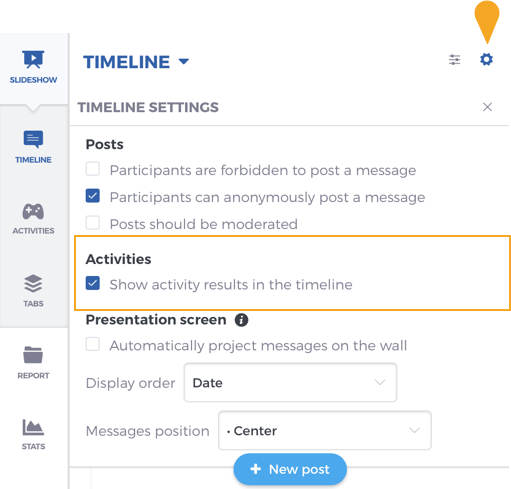 Activities are now inserted into the timeline as events. A screenshot is published as soon as the activity is closed. (You can change this parameter in the timeline settings). 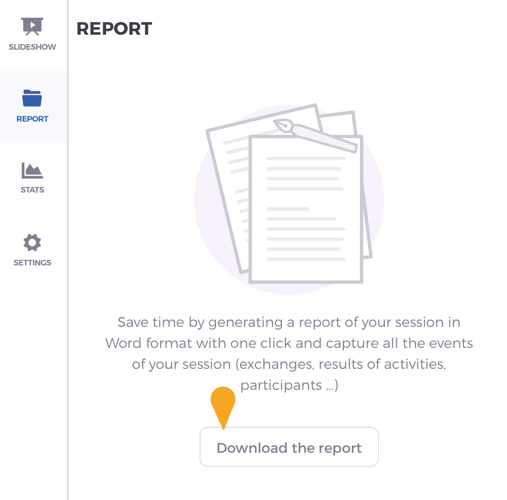 A session report in Word format is now available in the new Report section. You can retrieve all discussions and the activities screenshots that took place during your session. Beware, the « tag » action has been moved in the action menu of the message. By default, the ideas will be instantly published on the board. The add button on the full screen view is less visible. We have improve the compatibility with web browsers. The import of your presentation slides (ppt, pdf…) has never been faster!